"Everyone who knows anything about my ministry knows I am committed to expository preaching. It is my unshakable conviction that the ministry of God's Word should always be the heart and the focus of the church's ministry (2 Tim. 4:2). And proper biblical preaching should be systematic, expositional, theological, and God-centered. Such preaching is in short supply these days. There are plenty of gifted communicators in the modern evangelical movement, but today's sermons tend to be short, shallow, topical homilies that massage people's egos and focus on fairly insipid subjects like human relationships, "successful" living, emotional issues, and other practical but worldly—and not definitively biblical—themes. 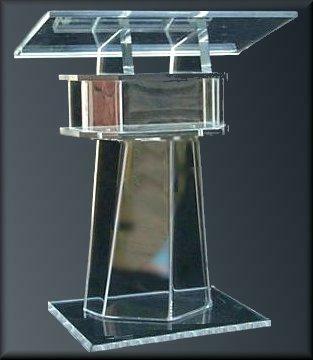 Like the ubiquitous Plexiglas lecterns from which these messages are delivered, such preaching is lightweight and without substance, cheap and synthetic, leaving little more than an ephemeral impression on the minds of the hearers." 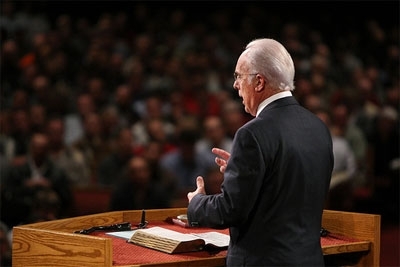 Check out MacArthur's sermon in its entirety here. Any thoughts, my fellow pilgrims?